for quite some time now. What’s not to love? I can’t wait until I’m the proud owner of one of these beauties and can use it to assist with all of my cooking adventures. Mixing, kneading, pasta making, you name it and the KitchenAid can do it. Honestly it’s a toss up of what I like more – the functionality or the beautiful rainbow of colors they’re available in. But it seems like KitchenAid is holding out on the U.S. Is it that the U.S. just not ready for something so different and bold? 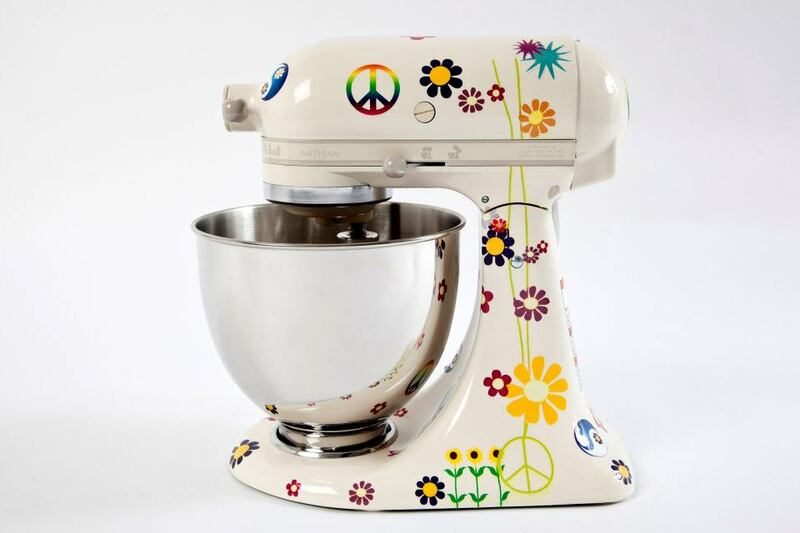 Check out the fun styles available by KitchenAid in Brazil! If these were available in the U.S. I think I’d have such a hard time choosing because they’re all so cute. I know Brady would definitely choose the ladybugs if she had any say in it! What’s your favorite design? 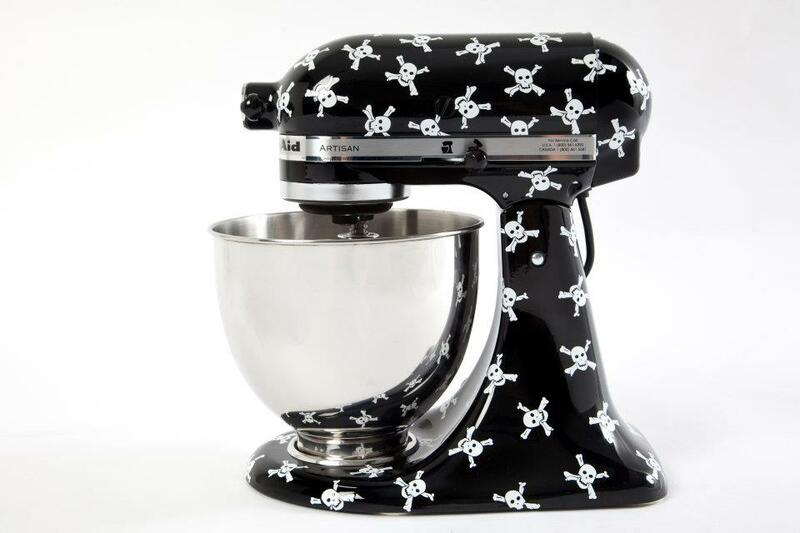 If you liked these fun and funky KitchenAid styles, you’ll love these creative and unique DIY KitchenAid Mixer designs! omg i love the wonder woman one! so cool. LOVE! Why don’t we have these??? They’re all cute! I have a plain old black one. Boring. I might jazz it up with some vinyl this winter. That would be a fun project! Peace & Love and Ladybugs- awesome!! You are correct we are being sold boring mixers! 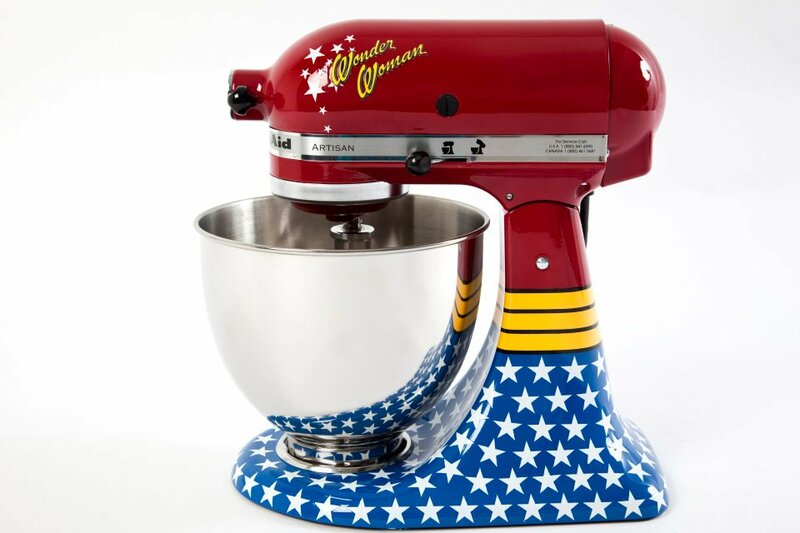 I love the Wonder Woman and Ladybugs mixers. Have you seen the ones The Pioneer Woman gives away on her blog. Bright yellow with designs! I hope Santa brings you one for Christmas. I LOVE the ladybug one and the skulls and bones one! Too cute! What is with Kitchenaide? Don’t they think we will buy those. I sure would!! I love the Wonder Woman one!! Mine is just grey – works like a demon – but isn’t pretty like that!!! Thanks for sharing!! My daughter would love the ladybug one. 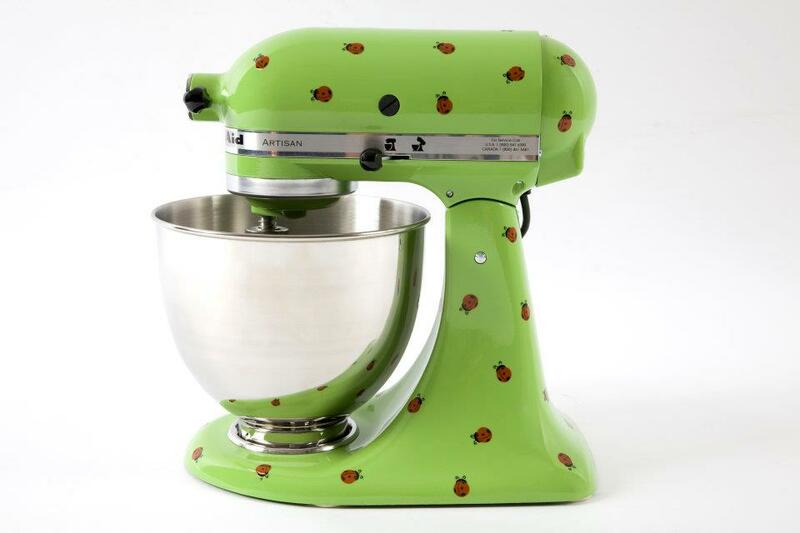 She has a solid green one, but kitchen is done all in ladybugs. So totally not fair that not available here in the states! I would love to have Wonder Woman!! OMG…. I want the Wonder Woman one. Where can I buy one? Can you special order them outside of Brazil? I love KitchenAid but if I got something wacky, I would hate myself after a while because they NEVER die and I’d be stuck with it! I love the skulls, how can I get one?